We run a free programme to help you set up and grow your business through a combination of workshops, online resources and advisor support. If you have an idea and are looking to test it out, or have recently started trading and need some business advice, this two-stage programme will guide you through the process. Introduction to Enterprise: Covers the fundamentals of setting up your business by helping you understand how to test the market, think of who your customers are, and where to sell. By the end of these sessions you will have completed all the basic learning to help you create a business plan for your new start-up. Business Start Up: A range of sessions on specific essential topics, such as social media; website design; start-up finance; and many more. As well as 1-2-1 support with your advisor to tackle your individual needs and challenges to develop a successful business. Enterprise Advisor Toby Howkins heads up our Outset project in the West. Having previously worked as a marketing advisor on the GetSet for Growth project, he has much experience in supporting all kinds of businesses. 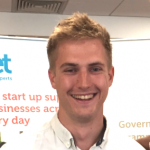 Toby really enjoys working closely with both potential entrepreneurs to help them shape their ideas, and with business owners to make a real difference to their sustainability and growth. His particular expertise lies in digital marketing and social media, a key component in helping new ventures get their brand out into the marketplace. Outside of work, Toby is a volunteer Trustee for a Bristol based charity, The Harbour, and is a keen fan of Liverpool Football Club. Andy Weeks rejoins the Outset West team as an Enterprise Advisor, having previously spent two years as a Business Advisor for our Outset Bristol project. Andy has considerable experience in the wider SME sector having spent 23 years in business banking with a major UK lender where he was responsible for a varied portfolio with aggregate debit balances of approaching £20 million. 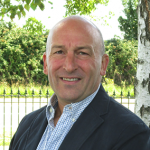 He has also worked in the charity sector for the Citizen’s Advice Bureau, (where he remains a Trustee), as well as running his own business advice consultancy and working for Business West’s ‘Access to Finance’ initiative, an independent national business support organisation. In his spare time Andy is a keen amateur runner and runs locally with Nailsea Running Club, where he also serves on the committee. 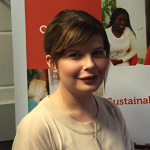 As the Junior Enterprise Advisor, Lydia Stevens assists the team in running our Outset project in the West. Having previously undertaken a retail management and marketing degree, Lydia brings to the team both innovative ideas, business expertise and a keen interest in entrepreneurship. Her expertise surrounds both branding and consumer psychology, each of which are essential to the continual development of any new endeavour. As an individual Lydia is committed to delivering quality support. Within her spare time, she enjoys drawing and design, and is a keen performer in both dance and cabaret. Thinking about realising the dream of working for yourself? Already started up but need some more support? Want to meet others like you? Just get in touch with the team to find out more about how Outset can help you and your business. This Outset service is part of the Enterprising West of England programme and the support is available to you in the West of England, thanks to funding from the European Regional Development Fund.